Imagine yourself, a young man of twenty in the year 1840, about to embark on a sailing ship for an adventure you will never forget. You bid an emotional farewell to your friends and family, wondering if, indeed, you will ever see them again. Then you walk up the gangplank and put your trust in the good ship Roanoke, bound for exotic South America. This diary is one of those wonderful treasures that we all hope to discover in the attic. It is eloquently written, and it is a pleasure to read. Here is an excerpt from January 31, 1840, just after passing into the southern hemisphere: "Whilst sailing in warm latitudes, the sea appears to be filled with a sort of animalculae or small animals, which are exceedingly luminous at night, and produce a beautiful phosphorescence on the waves. The path of a vessel is a line of light and the waters she throws up in her progress appear like liquid fire, myriads of luminous spots or stars float and dance upon the water and assume the most beautiful and fantastic appearance. The darker the night the more luminous and brilliant they appear, and present a most singular and interesting sight." The rest of the journal consists of Mr. Reynolds' descriptions of Valparaiso, Rio de Janiero, and the return voyage home. Original artwork by the editor. Description: Imagine yourself, a young man of 20 in the year 1840, about to embark on a sailing ship for an adventure you will never forget This diary is one of those wonderful treasures that we all hope to discover in the attic. 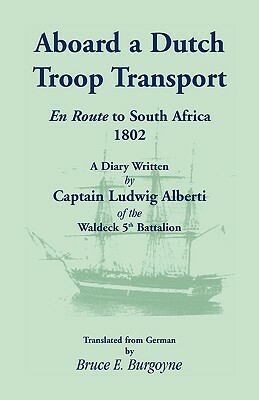 Consists of Mr. Reynolds’ departure from Philadelphia, his voyage, descriptions of Valparaiso, Rio de Janiero, and the return voyage home.